A team consisting of four 5th Year students look part in the opening round of Concern debates on Wednesday night the 25th of October. 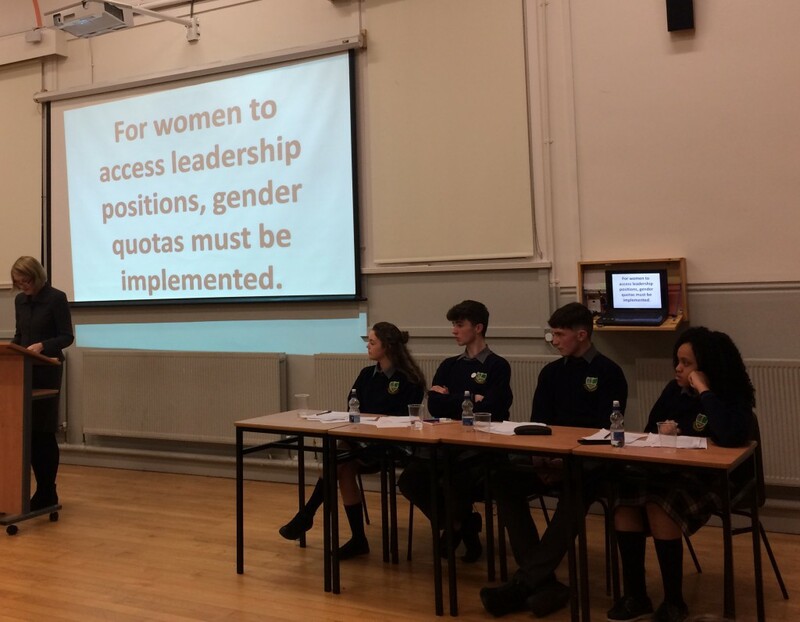 They were opposing the motion “For women to access leadership positions, gender quotas must be implemented.” The students involved were Alina Tee, Dara Lovern, Ronan Tynan Maher and Charmaine Okwutu. Although on the night the motion was carried all speakers involved did a fantastic job. The next debate is scheduled for the 14th of November.